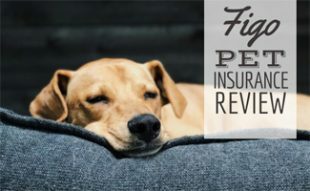 Most pet insurance policies protect dogs and cats, but more families are adopting reptiles, birds, rabbits, ferrets, guinea pigs, and other exotic pets and are looking for insurance options to cover their new family members. Exotic pet insurance (which isn’t the easiest to find) covers these animals. Currently, only one big name company offers pet insurance for rabbits, reptiles, birds and more in the United States. Read further to learn what exotic pet insurance is and where you can get it. What Are Common Claims Filed? 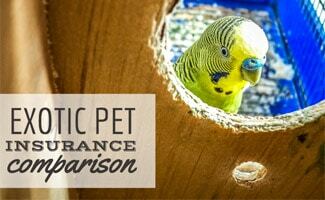 What Is Exotic Pet Insurance & What Does It Cover? Exotic pet insurance is similar to regular pet insurance in that it covers unexpected visits to the vet that are subject to the insurance plan you choose. These policies can include the loss of your exotic pet due to escape or theft, the death of your pet, illnesses, injuries and more. Exotic pets require special care that not all standard vets can offer. Your exotic pet may need a vet with specialized knowledge, which may cost more for vet visits and care. Exotic pet insurance gives you the peace of mind that if something terrible happens to your pet, you won’t face a massive vet bill during an already difficult time. Exotic pet insurance lets you make tough decisions without a second thought because your pet is covered. Which Pet Insurance Companies Are The Best For Covering Exotic Pets? Not all pet insurance companies offer exotic pet insurance. 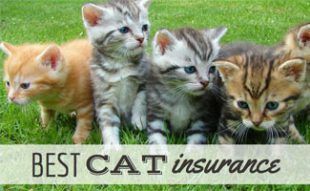 In fact, only Nationwide (read our in-depth review) offers exotic pet insurance in the U.S. at the moment. 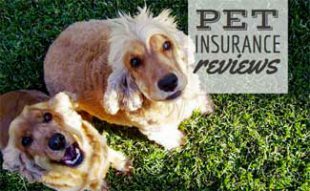 Below is a table of the 12 major pet insurance companies according to the North American Pet Health Insurance Association and the types of pet insurance offered by each. 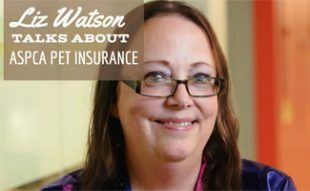 Avian and exotic pet insurance plans from Nationwide have per incident benefit schedules as opposed to cat and dog insurance, which reimburses a percentage of eligible vet expenses. Neither plans cover pre-existing conditions (no pet insurance providers cover pre-existing conditions). How Much Does Exotic Pet Insurance Cost? Nationwide has more than 600,000 pets insured in the United States. Avian and exotic pet insurance plans through Nationwide average $9 per month. However, this price can vary based on your pet and its specific health needs. What Types Of Claims Are Most Commonly Filed For Exotic Pets? Exotic pets experience different issues compared to cats and dogs. Avian, exotic and reptile pet parents commonly submit claims for feather issues and skin/shell disorders. In contrast, cat and dog owners commonly file claims for dental disease, skin allergies and ear infections. With all this said, we recommend looking further into Nationwide if you want avian insurance, guinea pig insurance, parrot insurance, rabbit insurance, reptile insurance and more. In the near future, we hope to have more information in this article about Nationwide’s exotic pet insurance offerings to keep you informed about your options. What exotic pet do you need to insure? I have guinea pigs, 7. Does Nationwide provide a discount for multiple pets? Hi Vivian, I know for dogs it offers a 5% discount for multiple pets, but am unsure about exotic pets. Here it states they give a 5% discount for 2 pets and a 10% discount for 3 or more pets, but they don’t clarify if exotic pets are excluded. Does Nationwide cover bearded dragons? Not that I am aware of, but you can always contact the company to double check. But does insurance cover you if your bird flies away? Yes, loss of your pet due to escape or theft can be covered.